A complaint has been filed against former Green Bay Packers head coach Mike McCarthy who is accused of verbally confronting referees after a tight loss for his stepson's high school basketball team. 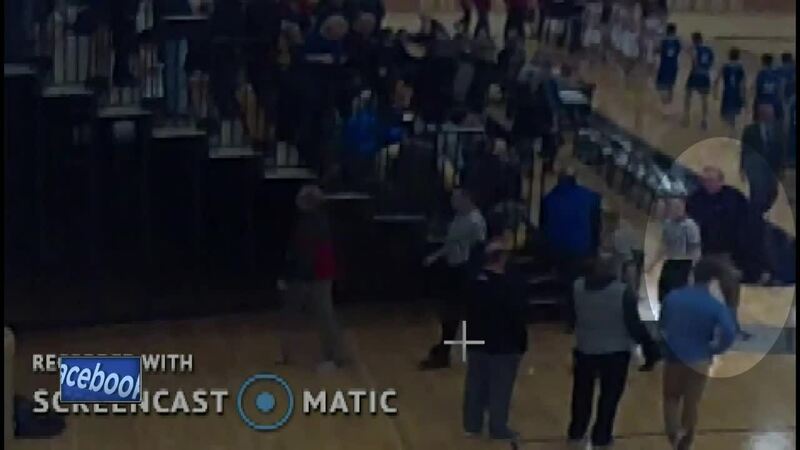 The Pulaski School District confirms it was McCarthy who berated the officials and followed them as they were escorted from a game Tuesday in which Pulaski High School defeated Notre Dame Academy by 1 point, ending its season. McCarthy's stepson is a member of the Notre Dame team. Pulaski Athletic Director Janel Batten says the unsportsmanlike language is unacceptable. According to the Pulaski School District, officials filed a complaint with the Wisconsin Interscholastic Athletic Association, which is the high school sports regulatory body. The sports agency representing McCarthy did not immediately return a call or email for comment. McCarthy was fired in December , his 13th season with the Packers. "Following a hard fought game, as the officials were being escorted by game management to the locker room, a parent of the visiting team overreacted in an inappropriate way by following officials and using language that is not in alignment with WIAA or local sportsmanship expectations. In accordance with WIAA membership eligibility and the Fox River Classic Conference (FRCC) expectations, all member schools have a responsibility to ensure the appropriate behavior of their participants and spectators. It has been shared that an “Abuse of Contest Official” report was filed with the WIAA. These reports do not come from member school districts but come directly from the official(s) who are involved in an incident. Pulaski Community School District did not file any type of report following this situation. Knowing the value of youth and high school sports as a learning opportunity which is an extension of the classroom, we appreciate the roles that players, coaches, officials, and spectators have in providing meaningful opportunities to our student athletes. Together with member schools of the FRCC and the WIAA, we strive to promote sportsmanship both on and off the court." "Notre Dame Academy is founded on the values of faith, respect, responsibility, service, and trustworthiness. The behavior exemplified by the parent at Tuesday night’s game is unacceptable at athletic events and does not reflect our institution as a whole. Last night, a Notre Dame Academy administrator received a call of apology from the parent involved. We appreciate his outreach and we look forward to moving ahead in a faith-centered and esteemed fashion. We thank all officials in athletic contests, especially in our conference and state, for the time and commitment they dedicate to our student-athletes. "